Kronosaurus “Krono” had a very large head (nine feet long), so large that if scaled down to our size, our heads would have to be nearly two feet long. This large head contained a huge mouth with very specialized teeth. These teeth were very odd compared to Pliosaurus and Liopleurodon teeth in that they lack what is called the three facets of the teeth. Along with that the cutting edge a serrated blade might have is also missing. This uniqueness, however, give paleontologists an easier job identifying Krono’s teeth. 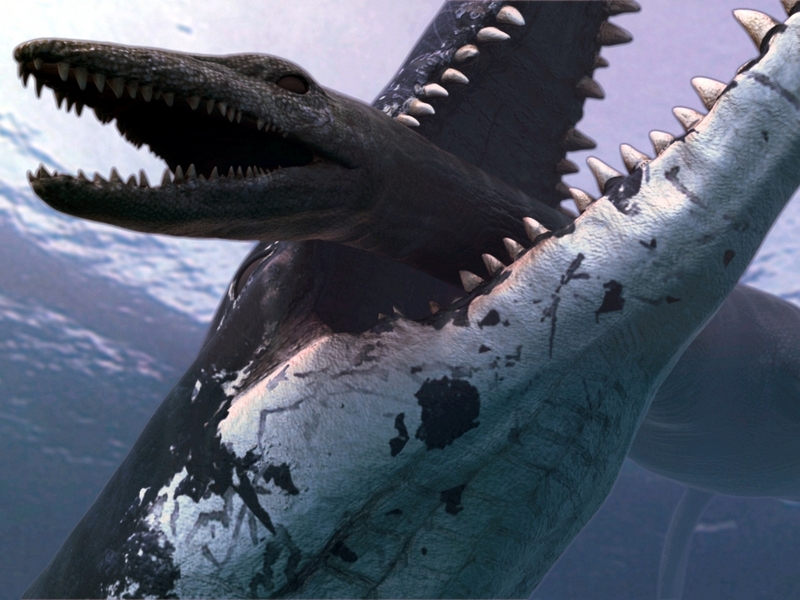 The long flippers of Krono gave him great ability to speed through the oceans and catch prey. Massive shoulders that God gave Krono would have also helped connect powerful muscles as well. These muscles would have connected to the flippers, naturally, and would have given Krono’s flippers extra strength. Reconstructions of Krono often get the size wrong, one had too many vertebrae and that added enough length alone to impact the total size. However, Krono was a giant of the sea and definitely would have sent fear into his prey. In 1982 Woolungasaurus was found with a crushed skull and gave evidence of some kind of attack. The bite marks looked like those of Krono and scientists came to the conclusion that Krono had indeed killed the Woolungasaurus. An Eromangasaurus has also been found with the same predicament, with the exception of the crushed skull. The old “under and bite trick.” Come on Krono, nothing better? Followed straight behind the prey and attacked it like that. Personally, I love the surprise attack from the bottom but, like I said, we won’t know until we see a live one. 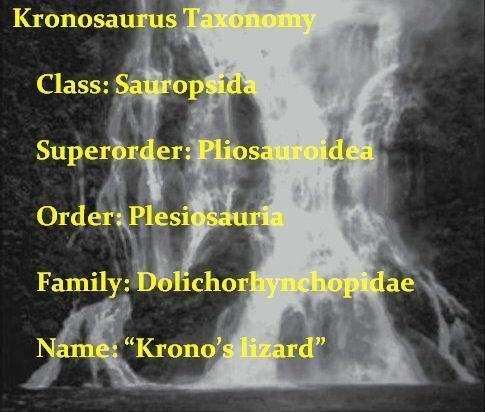 Krono was also found with rocks in its stomach. Normally, when an animal has rocks in its stomach it is for digestion. The rocks (gastroliths) rub together and grind the food up for better digestion. The purpose of these rocks is being debated but them being used like gastroliths is the most common purpose. However, some believe that these rocks were eaten by Krono so he could dive easier. Whether or not he used them for digestion or diving will be unknown . . . until we see a real one and we examine it to see what the stones are for. Kronosaurus is a creature that has given glory to God its whole life, but, when humans discovered it they tried to hide that gift from God and gave it to evolution. Well, thanks to the help of these same scientists, we have been able to restore these creatures of power and beauty to their rightful glory-giving place!